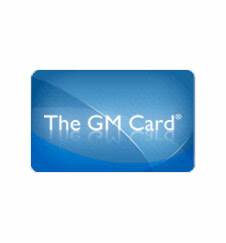 GM wants to show their appreciation to eligible employees by offering the exclusive Preferred Pricing Program! Your affiliation with Murray GM gives you the exclusive opportunity to buy or lease an eligible new GM vehicle at a preferred price. As an eligible employee, you have the opportunity to receive the best price - period - and pay no more than dealer price* on an eligible new GM vehicle. Almost every Chevy, Cadillac, Buick and GMC vehicle is eligible for the Preferred Pricing Program. Which one will you choose? Take a look at our new inventory! Ready to drive home a new vehicle? Head down to Murray GM Brandon with your proof of employment (pay stub, HR letter, business card etc.) to confirm eligibility. 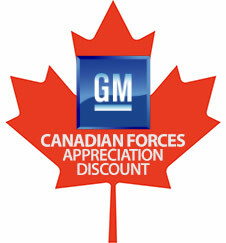 In recognition of the selfless acts of service to our country, enjoy an upgraded Canadian Forces Appreciation Discount of $1,000 on select 2014, 2014 or 2016 GM vehicles! All active, reserve, and veteran military personnel and their spouses are eligible. This offer can be combined with our other discounts and programs to really add up the savings! Learn more about the program here. As well as Preferred Pricing, you can use your GM Card Earnings (subject to Vehicle Redemption Allowances) to save even more on an eligible new GM vehicle! Soon-to-be or recently graduated? Take advantage of our Student Bonus offer and get $750 off a new vehicle! Learn more about this program here. *Eligible Preferred Pricing employees can purchase an eligible new GM vehicle at a price that is equal to or less than dealer price. Dealer price is defined as the dealer's price of the base model vehicle, plus options and dealer marketing charges as shown on the invoice. This calculation excludes taxes, license and registration fees, insurance, personal property registry fees and freight charges. Dealer may sell for less. Model restrictions may apply. See dealer for all program details. GM may modify or terminate this program in whole or in part without notice.